Today’s race was not 10 miles from where David Ogg took 3rd place earlier in the season so the team was relishing today’s race. The race promoted by City Road Club Hulltook place on the North Newbaldcircuit 6 laps of a course that includes a long two stage climb with a false flat in the middle and the finish line at the top. During lap one David was off the front with a Giant Lincoln rider attempting to make the selection early on, David’s breakaway companion was not up to the pace but nonetheless the damage was done and riders were shelled out the back as the race went up the climb for the second time with David settling for taking the prime. On lap two Sam formed a liason with Jimmy Parvin of the Prologue Racing Team and they quickly put time into the bunch stretching their lead out to over a minute at one stage with Sam taking a prime as they went over the climb. Out on the back of the course Parvin worked out that Sam was the stronger of the two riders on the undulating section of the course so on lap 5 he attacked Sam on the climb forging ahead at the line as they took the bell. As the race approached the climb for the final time George could see that Sam had burnt all his matches so he turned on the “Derny” power and led David and Tom out for the sprint putting them in the perfect positions on the false flat leading to the finish line. 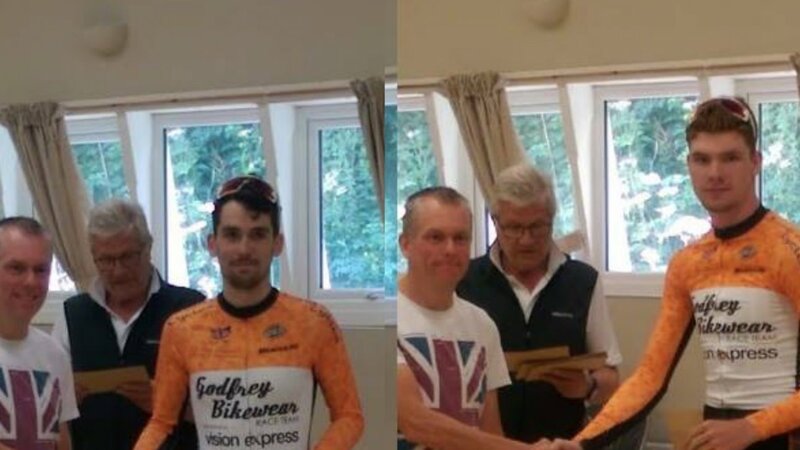 David held his position until the last 10m and then burst out to take the bunch sprint for 2nd with Tom showing ever increasing form and taking 7th and George with reward for his team effort taking a very creditable 1oth. So not bad day across the border, 2nd, 7th, 10th and two primes for our trouble.